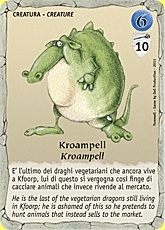 The Yummell playing cards are in a deck of 90 cards divided into three types (Artefact, Creature, and Event) that are easily distinguishable because of the title in the top left corner as well as for their colour. Regardless of the type, all the cards have a number in the upper right corner. 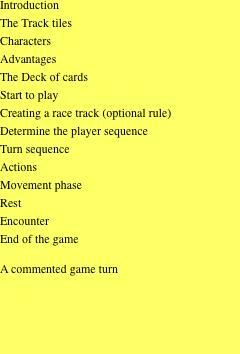 On many occasions, players must use the cards considering only that number and ignoring all other information. Artefacts are powerful magical items that can be found and used by players to gain an advantage or to put their opponents at a disadvantage. Before they can be used, the Artefacts need to be activated. All Artefacts are used one time only and then discarded; there is no limit to the number of active Artefacts that a player can have in the game, even at the same time. 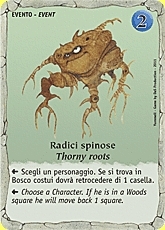 The Creatures are living beings that players may encounter during the game. 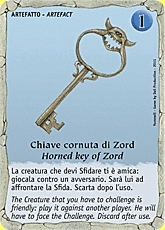 Each of these cards has a general description and a Characteristic with a number value. The higher the value, the stronger the Creature is in that Characteristic, and it will be harder to defeat that Creature in a Challenge after an encounter. Events are special random episodes that may occur during the course of the game, and they are in effect during the entire duration of the player's turn when they are played.